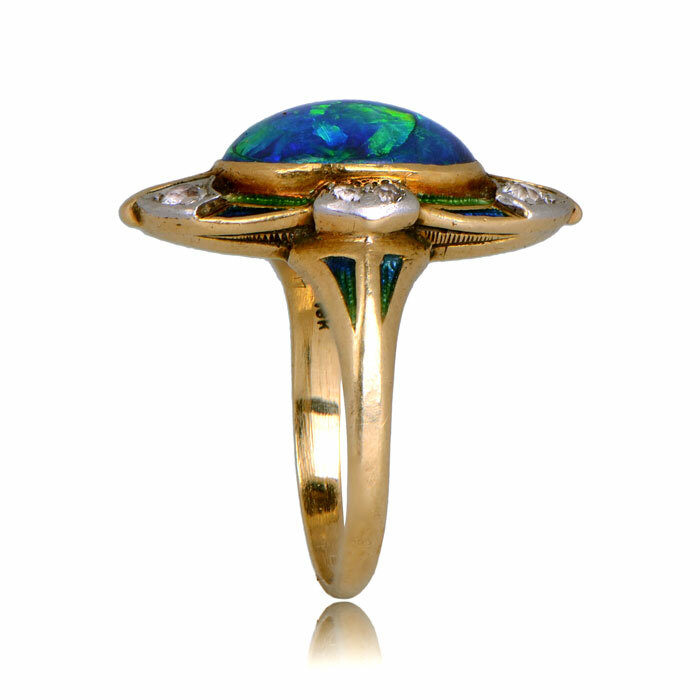 A very rare collectors ring, signed by Tiffany and Co., and handcrafted at the turn of the century. 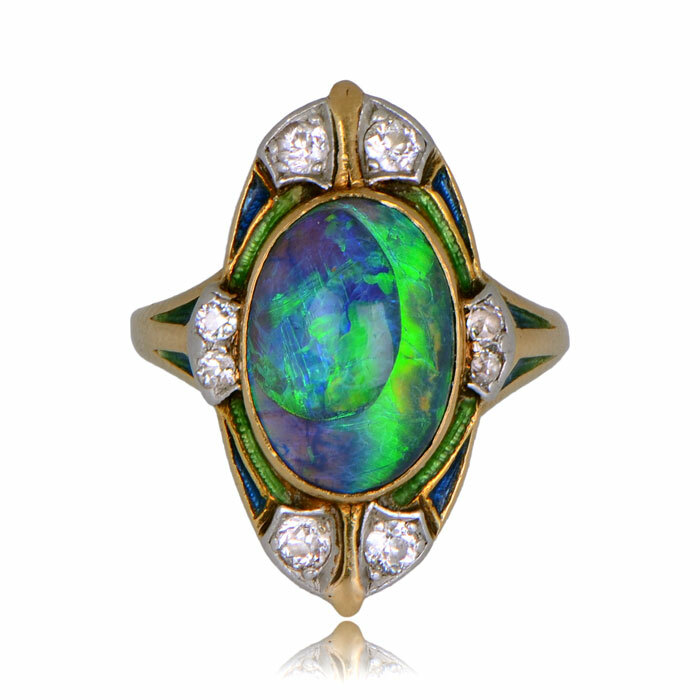 The black cabochon opal features radiant blue and green hues with an under tone of red-purple. Surrounding the center stone is blue and green enamel and old mine stones. The mounting is made from 18k gold. 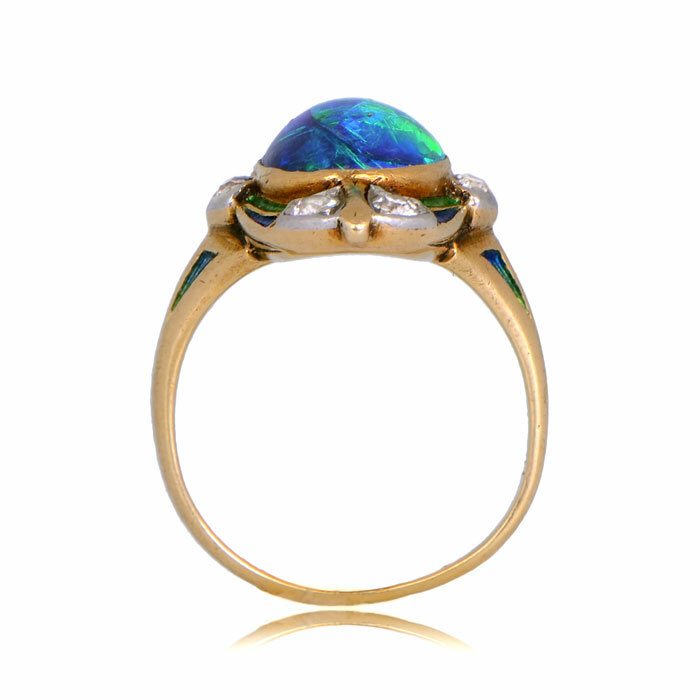 A rare museum-quality collectors ring. Circa 1900. Signed Tiffany and Co.
SKU: RJ201 - Contact us and request additional pictures.